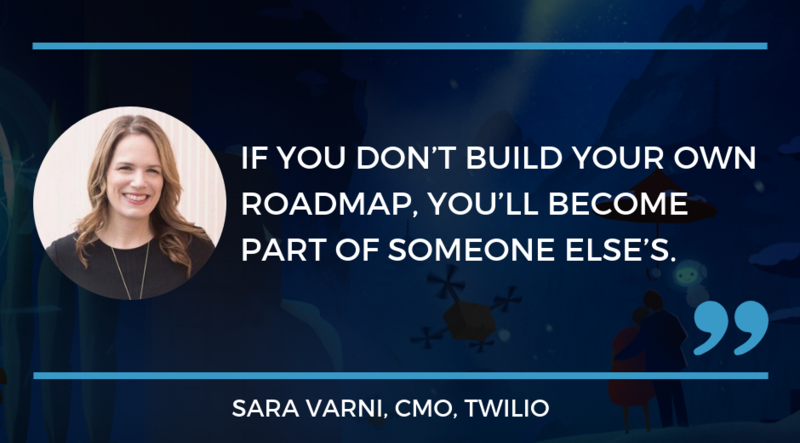 In this episode of Marketing Trends, Chad and Ian talk to Sara Varni, the CMO of Twilio. She talks about how CMOs can pitch expensive and risky initiatives, how marketers waste money by failing to make long term plans, and she shares a few tactics that her team uses to be meticulous about finding ways to connect with the customer. 1:30 - How Sara got inspired to get into marketing. 5:30 - How form affects substance when you are creating content. 6:55 - Learning from both bad bosses and good bosses. 8:45 - Prioritizing a day and not being driven by your inbox. 11:00 - How to create a great conference. 14:00 - The marketing campaign Sara is most proud of in her career. 16:40 - Learning to pitch risky or difficult initiatives. 18:40 - Why demand gen is an art and a science. 21:20 - The worst campaign Sara has ever run. 24:15 - Generating word of mouth buzz. 28:00 - Where marketers blow the most money.